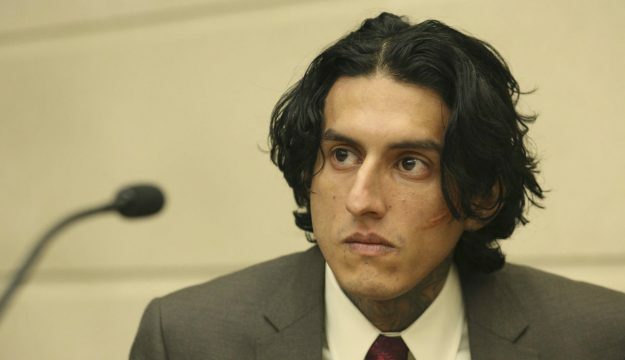 From the courtrooms to the vast open roads, American Crime standout Richard Cabral has saddled up for Mayans MC, the Sons of Anarchy spinoff pilot incubating over at FX. Per Deadline, Cabral is now set to star opposite Edward James Olmos, who climbed on board early last month to play a burnt out Mexican patriarch named Felipe Reyes. Other cast members on board for the Latino-centric offshoot include John Ortiz, Antonio Jaramillo and Clayton Cardenas. FX’s Mayans MC pilot will lens sometime this month in Los Angeles when SOA creator Kurt Sutter will be calling the shots from behind the lens. Should the spinoff be ordered to series, it’ll likely race onto FX sometime this fall. American Crime, meanwhile, returns for another season of brooding drama on March 12th.